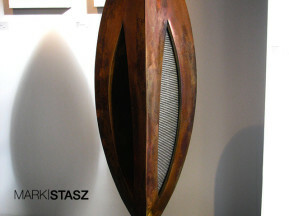 Pinnacle: Pinnacle is located in Healdsburg California, measuring 7'6"x5'x3'. 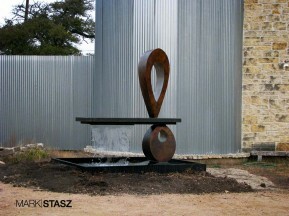 The fountain is made out of silicone bronze, stainless steel, and travertine. The slabs of travertine are carved out to hold the flow of water that cascades through each trough. The water is recirculated from the basin through the fountain and into the stone. 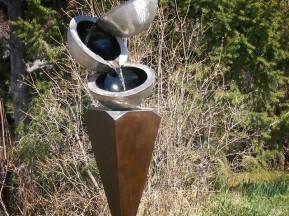 The fountain has a double input feed to increase the visual water effect on the bottom rock. This also enables the spout size to be doubled, making a very visual statement.